African Art Against Nazi's. This picture was taken in 1942. Somewhere in Africa. 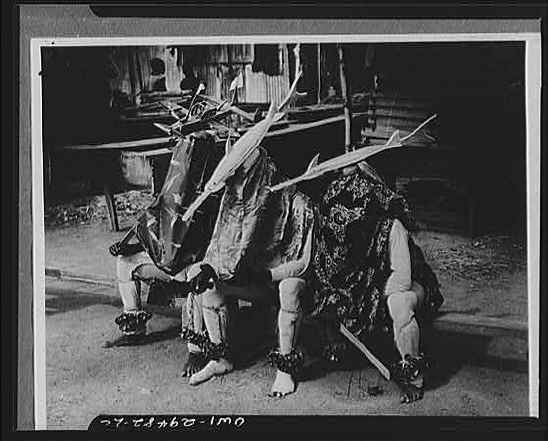 Here, at length, is the witch doctor and his USA airplane, the P-40 or "steam-chicken" as the bushmen call it. 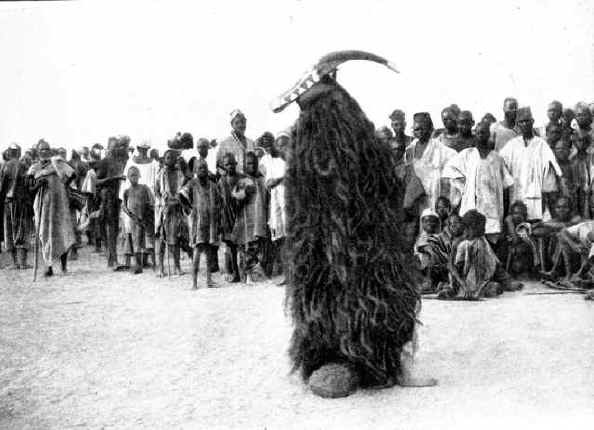 Civilization advances into the inner sanctums of the medicine men, and penetrates the Dark Continent, which for hundreds of years held to tribal masks passed down from generation to generation. 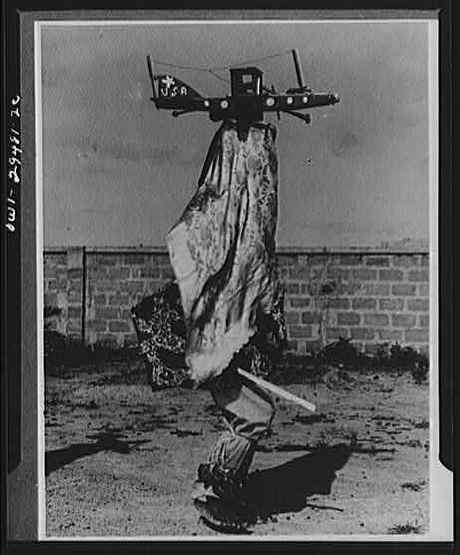 Supplanting it with the stronger ju-ju of the white man, the medicine men construct these planes, complete with antenna and the U.S. star, and descend on the tribe in flying echelon, as the evil spirits of the Nazis are driven out of the black man's territory. 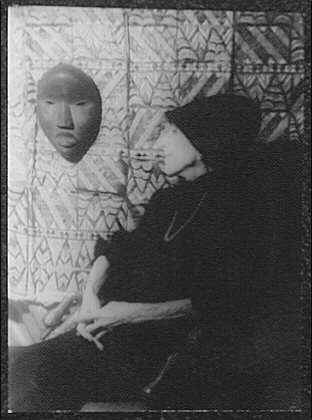 I am interested in buying drawings, images, or writings related to the African Art that Karen Blixen collected. African-Antiques.com is our archives site. Stay informed on the tribal art market. Auction and Museum News. IF you have an auction house, a fair or you are a tribal art dealer , become an African Antiques friends and reach thousands of collectors. Join the African Art Club for insiders news if you are a professional African art collector. Visit our Genuine African Art Shop, African Art from known collections. 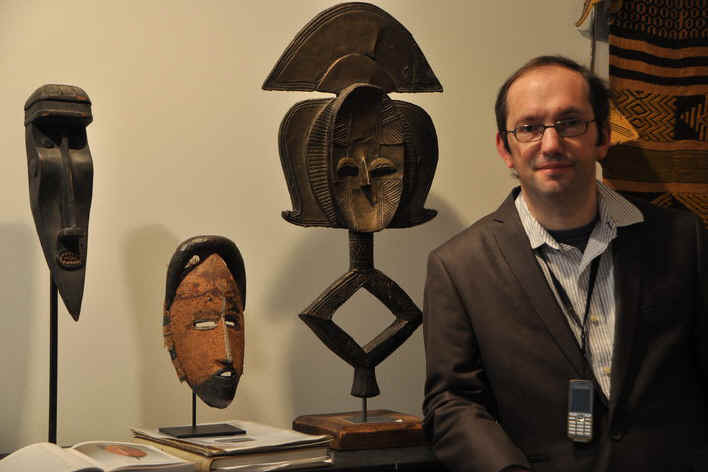 about us: African Art dealer Antique dealers on the internet: strange ducks or precursors? African art collection displayed on a table in a room in 1928. Chicago Daily News, Inc., photographer. DN-0084402, Chicago Daily News negatives collection, Chicago Historical Society. 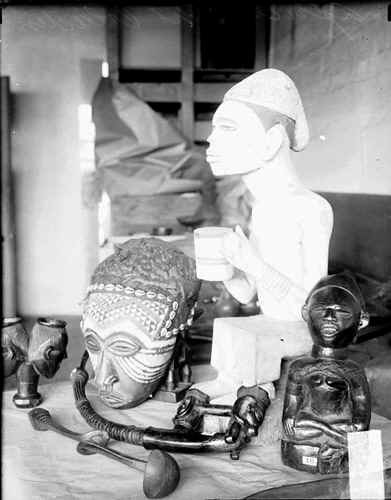 Image of assorted busts and objects from the BaCongo and the Kuba, part of an African art collection displayed on a table in a room in Chicago, Illinois in 1928.